As I’m capturing my “aha” moments during my Florida 2015 immersion, I am remembering my Philosophy 101 from my USAFA (college) days. Aristotle talked about goodness and then there was Good. Aristotle also discussed the difference in happiness versus Happiness. What I took away from the lecture is there are actions that are good, lead to happiness or may be true. But then, there are ideas that are True with a capital “T” whether you know or not, whether you believe or not. Years ago I attended a USDF educational event featuring Ulla Saltzgaber and Ulla was very clear during her lessons when she was giving a piece of advice very specific to the rider and the moment. For example, Ulla said do not go home and counter flex your horse in the canter forever. This is a correction for this rider in this moment. One of the great opportunities I have is to watch Uwe Steiner giving lessons. In a recent discussion, Uwe reminded me of Ulla’s lesson from years before; watch closely, learn and remember that advice given in a moment of a lesson is specific for that horse and rider. For a curious mind like mine that generates even more questions and is why I am attracted to the art of dressage in the first place. Here is my personal example of truth versus Truth with Ava and Donzer. 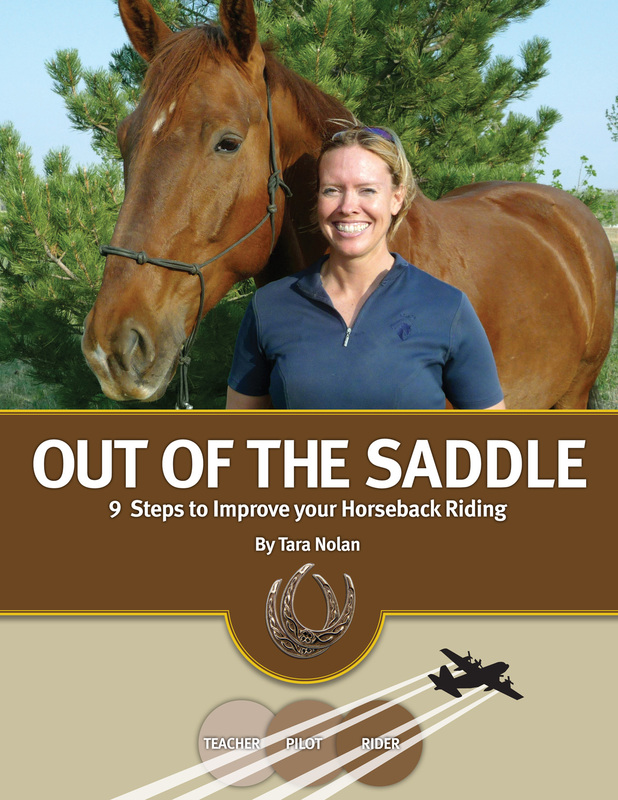 The big topic I am tackling right now with Judy Farnsworth is learning how to ride. I’m smiling here because that word “ride” encapsulates so much. More specifically, I am learning how to use my lateral aids to affect getting the horses through and on the bit. The Truths of this process are there are tools: shoulder-in, haunches in, leg yields, counter flexion, etc. I use each of these tools with both Donzer and Ava. The riding truth happens when I start selecting the order or combination of these tools to affect thoroughness. I’ll use Donzer as my example. From my previous post my work with Donzer begins with half-halt, yield, bend (shoulder-in) on the 20 meter circle. This is fairly straight forward going to the right. However, going to the left Donzer really pops out his right shoulder and when I ask for shoulder-in he’s all about popping out that right shoulder. I am advanced enough with my feel to know this is not the Truth I’m seeking. Judy explained that this indicates Donzer is really not wanting to engage his inside left hind leg so the correction must address the hind leg and shoulder together. So, when going to the left, instead of half-halt, yield bend I have a modified process. Half-halt, counter flex and yield together until I feel Donzer’s shoulders move back in front of his hind legs and then shoulder-in (more of an ask for left flexion). What happens the first few times is as soon as I ask for the shoulder-in, Donzer pops his left shoulder out like water flowing downhill following the path of least resistance. This is where I have the repeated opportunity to learn to ride. I play with how much left bend I can ask for before the shoulder pops out. I play with how much my right knee can guard the shoulder and keep Donzer straight. I play with how much diagonal left sits bone and right rein (at the same time) I can use to keep Donzer in this more correct carriage. So, this is all correct for Donzer in this moment with this issue. On Ava, I do the half-halt, yield, bend and that is a True exercise. The order I add in the additional supporting yields and connecting half-halts are specific to Ava with her longer frame. Spending enough time in the saddle, trying different combinations and letting the horse tell you ultimately what is correct is learning to ride. It is very helpful in the process of learning to ride to know what the tools are i.e. leg yields, haunches in, etc and to have your horse respond to these aids. When I teach my students the order of the aides one exercise is to do a leg yield on the open side of the circle. To accomplish this exercise the rider must coordinate the inside leg at the girth to move the horse sideways and use their outside aids-hand, knee, leg-to keep the horse from popping their shoulder out. When the aids are properly coordinated, the horse lifts their shoulders and steps under and across with their inside hind leg. This is the feel. Your instructor can set you up to feel this in your horse and tell you “now, that’s it” and you have to remember what the moment feels like in your body. Your goal is to take this same feel to a straight line to create the straightness of the horse and the forward connection to the bit. This is another feel or piece of knowledge I have but did not use outside of the exercise on the circle. I have felt now that the counterflex and yield exercise is an extension of this basic yielding exercise on the circle. Connecting the “whys” is allowing me to start linking basic feels to more complex movements. This feel up over the back connected from inside leg to outside rein needs to be maintained all the time in all of the work (this is more all encompassing than it sounds, at least it is for me at this point in my riding). This is one of the main holes in my riding at this point. Interesting that I have been given the knowledge but for some reason was not continuing the thread. I have been shown this feel before. I know the feel when I have it. I guess I’ve approached creating this feel as a unique task instead of as a foundational strength and way of going all the time. 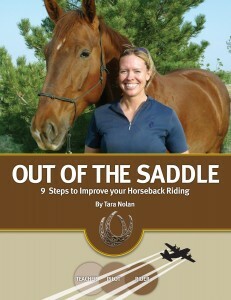 I’m still mulling over how to teach this to a new rider. You cannot master everything in a day and you also need to keep touching on the skill until it becomes part of the rider’s muscle memory. For many years I’ve wondered how you bring a horse back from a trot extension on the diagonal to the working gait in the corner without pulling back on the reins. Pulling back on the reins always blocks the shoulders, the horse brings its nose towards their chest and the horse falls on the forehand. I got to watch a lesson and see that you can accomplish this transition using your lateral/diagonal aids. The instructor had the student bring the horse into a shoulder in from quarterline to the wall. By the time the pair reached the corner, the horse’s inside hind was under, rebalanced because of the shoulder in. This rebalancing happened with a redirection of the energy instead of pulling back and blocking the energy. By pushing the horse laterally from inside leg to outside rein, the flow of energy continued. Of course, this horse was well-schooled in shoulder-in and responded to the aids. I am going to work on this idea with Donzer and Ava on the 20 meter circle. Playing with this myself, it is cool when the horses listen to my aids, rebalance into the shoulder in and come back to me. However, Donzer and Ava are not what I would call ‘well-schooled’ in their response to the shoulder-in aid yet. But, it is in progress! I know what a shoulder in is but to feel it from the saddle is not something I’m 100% sure I can do yet. Each day on my Florida 2015 trip I am accessing the top line muscles in Donzer’s body so I am getting more air time, impulsion and ground cover. Taking in these new feels and balance requirements in my body and then sorting out if we are actually in shoulder in is going to take a bit of concentration and repetition. Here is what I’m feeling today. To avoid doing a neck-in I can visually confirm I’m keeping Donzer’s nose between his shoulders. When we are approaching a true shoulder in if feels like Donzer’s inside shoulder pops up just a little. The inside trapezius muscle (neck right in front of the saddle) goes from being fairly flat to popping up like a softball. And, the outside rein feels connected—no pulling or looping in the reins. We have a nice cadence without the flat feel of running. Lateral flexion, diagonal aides, straightness. I am having more success than I ever have with developing self-carriage and I’m trying to decide if the instruction is better, if I’m a better rider, if my horses understand the basic aides and are ready or if I’m just mentally ready to process the information. One of my superpowers is taking complex topics and breaking them down to be understandable bytes of information for people to digest and act upon. So I will begin by explaining what I know in this moment and share my reflections of the learning journey. Redirecting Energy versus Blocking Energy: I have spent my first four lessons here at Fox Lea Farm with Judy Farnsworth on the 20 meter circle learning to use lateral aides to control speed and head bobbing. Instead of a half-halt combo of pulling back with both reins and tightening my core resulting in a blocked response from Donzer, Judy is having me counterflex and leg yield to activate the inside hind leg which is redirecting the energy and resulting in control of the speed or head bobbing. I had to go on faith the first few times because my hands really did want to pull back just a little (because a slightly loopy rein feels wrong) but when I kept my hands steady at the withers and used the diagonal aides I got the desired response-Donzer connecting to the outside rein and keeping a regular tempo. I am slowly restructuring my muscle memory for this diagonal correction. I think part of this is the transfer from bipedal human to the quadraped we are on a horse. Waiting out the Head Bobbing: The additional outflows of this process with Donzer have been to allow him to rebalance and show him how I want him to engage his inside hind leg. Instead of shuffling sideways and moving his haunches out when I apply my inside leg aid, I’m clarify to Donzer I want the response to be stepping forward and across with the inside hind leg. I’m using my outside leg to keep Donzer’s outside hind on the circle bend. This has been confusing for Donzer but he’s working on the new request. As Donzer is finding his balance his head is getting steadier. Also, as Donzer realizes that I’m not going to yank or pull but merely sit and hold this diagonal correction while he fusses around, the fussing dies down more quickly. My hope is Donzer starts to enjoy the positive feedback of doing well more than the energy expended arguing. We did our first canter with this new level of straightness and Donzer’s hind end felt like a frog on ice. Donzer’s been allowed by me to avoid taking all his weight on his hind leg and this is a new feel for him. The difference is he’s actually struggling to figure it out instead of trying to change the subject by tossing his head. We used collected to working canter to help Donzer load and unload the hind leg. I have done all of these things on Donzer before but the difference for me in this moment is I understand what I’m asking for and am selecting specific aids to affect the hind leg and the ride is getting better on purpose rather than after 45 minutes of riding hoping to have some self-carriage evolve. Instead of an “aha” moment I had a Homer Simpson “Doh” moment referring to The Simpson’s cartoon show. I had a great teaching moment with Judy Farnsworth regarding the inside rein. This lesson applies to me as a rider and to remember when I’m giving lessons. Judy asked me to give forward with my inside rein so Donzer would have a relaxed place to move his neck but then Donzer started to almost immediately counterflex. I’ve had instructors ask me to do this in lessons before and found it equally frustrating because Donzer almost always falls onto the forehand and counterflexes to the outside rein that I’m maintaining. I should know better and thinking through the biomechanics I do know better but in the moment of my lesson I didn’t have enough brain cells firing properly. So, I asked Judy, did she want me to just let Donzer counterflex. The answer was no. What this highlighted was Donzer was clearly ignoring my inside leg. My inside leg’s job is to maintain the inside bend. In this case it was the left rib cage on the inside and this is the rib cage Donzer is reluctant to move over for me. We are working to readjust my feel so I keep the correct yield on this inside rib cage and when I gave forward with my left inside rein it was obvious Donzer was leaning on my inside leg instead of yielding from my inside leg. Most of the dressage tests have uberstreichen or the stretch forward showing that your horse is indeed on your inside leg aids and not balancing on your hands, hence the “Doh.” For me this is another example of how I process information digitally and do not always link together training with the dressage tests. Now that I’ve connected this dot, it will stay connected but it’s interesting to me what becomes very obvious does not always start that way. So, when you are giving a lesson or just an eye on the ground, if the inside rein is yielded forward and the horse counter flexes, then the inside aids are not effective in that moment. Donzer has basically lost the rude head shaking and now is just losing his balance and I’m using his head bobbing to help me identify when I need to rebalance Donzer and activate the inside hind leg. Today we upped the ante and moved Donzer’s left rib cage over. This sparked the conversation in my head as I was riding through the lesson about why instructors start telling me less is more. Kris helped me sort through some of this after my ride. Let me take a step back and use my ground work as my reference point. For example, when you are teaching a horse to yield their hindquarters from the ground and face you. The concept of pressure and release is the gold standard with horse training and ground work allows you to learn this concept. To move the haunches you gently tap and increase the tap until you get a response. Initially just a slight movement away from your stick merits praise and release. You can demand more once the horse understands the concept because then you have to go through the second stage getting your horse’s agreement to do the job. It is immediately obvious when your horse has made the right amount of effort because you are on the ground and can see. Once the horse is trained for this aid, you can just look at their hindquarter and the horse will step over—Less is More. Take this concept to moving Donzer’s left rib cage over. We have spent three days asking for the counterflex and leg yield to rebalance and stop the head bobbing. Donzer’s been praised and released for this level of effort. Now that this has been established, it is time to ask for and get the rib cage to yield. As a rider, this is a new feel for me and I can ask for as much as required but because I cannot see, I do not know what enough effort from Donzer is to merit the release. Here’s what happened. I asked for Donzer to move his left rib cage over and felt a small response and I left him alone-reward. My instructor started having the discussion about how less is more so I took that to mean I’d asked for too much so I relaxed my body. I was asked to move the ribs over again and I was getting frustrated because we’d just had the less is more conversation. Assuming it may be something similar to the “move your hands forward” situation (see previous post), I turned my spur into Donzer’s left side and gently but very clearly moved his ribs over until I felt a place for my leg like I have on the right side. The feedback from my instructor was very positive but as a rider I can tell you that the aid I gave was anything but “less” as I would describe from my point of view. [NOTE: I am having daily moments of communication practice in my lessons and learning to ask better questions. Many times I ultimately realize I am understanding what the instructor means but the words I’m hearing in the moment mean something different to me and this leads to confusion.] Now, once I had Donzer on my aid and Donzer had agreed to move his ribs over, I did not need that big aid with my spur and I was able to affect the movement with my inside sits bone. So I think less is more once you have the horse’s agreement to do the job. Here’s the rub. When you are doing ground work you have a clear unobstructed view to see if the horse is making even a little effort. When you are learning a new feel in dressage, it is hard to sort through the noise level in your seat to determine if an effort is being made by the horse. So, many times I think when a trainer tells me “see, less is more” what’s happening is the horse has responded to my aid and I did not feel the effort. This is phase where my horse earns his keep. As I become more attuned to the movement, I can feel more effort with a softer aide on my part. Until I develop this sensitivity, my horse will have to hear my thunderous aides. And, as long as I remain patient, it’s been my experience horses are quite patient. It’s only when I get frustrated and take it out on my horse that my horse takes umbrage. One thing Kris also highlighted is a point of miscommunication between me and any instructor. When I’m told to do less, Kris says I relax in the saddle and my legs and arms start bouncing more because I relax my core. So I have to remember for myself that when an instructor tells me to do less they do not mean I should relax. In fact, when I engage more and do more from my perspective in my body, most instructors will say, “Yes, do less like that.” My attention to my instructors allows me to progress and it also allows for miscommunications to arise when I try to do exactly what I hear. I find it helpful to write it out and to discuss my lessons with my main ground person, my husband, Kris. Kris can generally interpret what is going on between me and my instructor and ultimately, Donzer lets us all know if we’re moving forward or backwards. At the end of this lesson we are starting to recruit the top line muscles. Donzer is not fully opposed but he is letting me know this is much more work. To me it feels like we are shifting from being fairly earthbound with solid heavy steps to a more floating feeling and a feeling like Donzer could move in any direction easily. And as a reminder for myself, Less is More never means I can relax my core—that’s just wishful thinking on my part (ha ha).